Discover the power of Nik Software. Join online trainer Dan Hughes and the Nik Education team 5 days a week, including evenings and Saturdays, and learn how to take your images to a higher level using the latest editing techniques and award-winning Nik Software products. 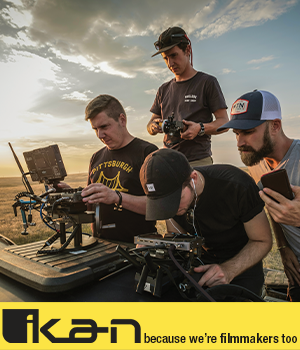 Douglas Sonders, an advertising/editorial photographer and Kelby Trainer, has been profiled in a variety of photo publications, such as Photo District News and Light-It Magazine, in regards to his on-location lighting and photoshoots. Watch as he utilizes some of his favorite Nik tools, such as Color Efex Pro 4 and Silver Efex Pro 2, to step up the visual impact of his pre-lit, on-location images. He will even share how he pre-produces shoots with Nik Software in mind for his post-production. Click here for more information about Douglas Sonders. This webinar is limited to the first 1,000 guests. Join photographer and writer, Jay Goodrich, as he highlights how he uses the Develop Module in Lightroom 4 and multiple Nik plug-ins as key elements for successful RAW processing. Jay will cover the new adjustment tools in the Develop Module, as well as how he integrates Nik plug-ins, like Color Efex Pro 4 and Silver Efex Pro 2, into his current workflow. Click here for more information about Jay Goodrich. Join award-winning photographer and educator Laurie Rubin on a detailed tour through a series of photographs to showcase the features and functionality found across the Nik Software product line. You'll learn how to use Nik Software tools to control bright skies, selectively edit color and light, stylize your images, and much more. Nik Software provides powerful tools that make editing much simpler while allowing you to transform your images. Join Nik Software's Education Team, for an in-depth session covering the Complete Collection from start to finish. We will cover noise reduction, optimizing color and contrast, stylizing images, and sharpening your image for output. This webinar will not only streamline your workflow but also cover the thought process of figuring out what you want to do to your image to give it the most impact possible. Q&A to follow. Join professional African wildlife and cultural photographer Piper Mackay as she shares her techniques using the Nik Software suite to create her final vision. Follow her through the rhythm of Africa's wilds as she discusses how Nik Software products can influence her decision while shooting in challenging light. She will show you some quick, subtle and easy tips on how to make a good image into a great image. She will also demonstrate how she uses creative tools to transform images into a reckless beauty, a piece of art. Click here for more information about Piper Mackay. Master Photographer, Carl Caylor, will share how he works an image to prepare it for printing. Carl was a custom printer before he was a photographer. Learn how he embraces old techniques from the darkroom and uses them more precisely in Photoshop. He will demonstrate actual work so you can see before and after images. Carl will also show how Nik Software has forever changed his photographic toolbox, marketing ideas, and bank account. Nik filters used in this program include: Silver Efex Pro 2, Color Efex Pro 4 (Tonal Contrast, Indian Summer, Monday Morning, Cross Process, Graduated Filters and more). Click here for more information about Carl Caylor. Follow along as Janice Wendt, Nik Software's trainer to the trainers, teaches you how to quickly and easily enhance travel images with timesaving techniques using a variety of Nik Software tools using Photoshop. This webinar will feature a variety of travel images and teach you how to effectively enhance buildings, skies, landscapes and more.